The DC Extended Universe has been widely criticized as a trainwreck since 2013’s Man of Steel hit theaters worldwide. Heaven knows I sure as heck haven’t been kind to these films. In some way, shape or form, every single entry has completely missed the point of the core of its characters to the such a laughable extent that Batman V. Superman: Dawn of Justice displayed the single character who actually is a warrior, has no reservation about killing enemies and carries a freaking sword and shield as the ONLY “hero” who doesn’t kill anybody. I’ve frankly given up hope on the DCEU, but the trailers for Wonder Woman wouldn’t stop knocking at my heart with hope. I’m beyond thrilled to say I’m glad I opened the door one more time to that hope and was greatly rewarded. 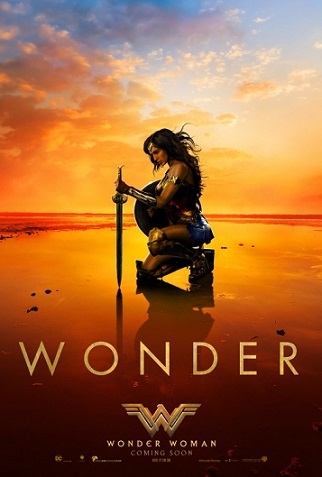 Unlike most superhero origin stories, Wonder Woman’s is actually worth telling. This isn’t because it sets up the character and sets them up on their path like every other cape movie, but because it offers a genuine look at humanity through simultaneously naïve and cynical eyes, only to have each viewpoint completely change by the end of the film. Diana’s journey challenges the idea of preconceived notions and champions the merits of seeing humanity for what it is, warts and all. Director Patty Jenkins performed a masterful job of showing the horrors of the aftermath of war without needing to go into the gory detail presented in past war films like Saving Private Ryan. 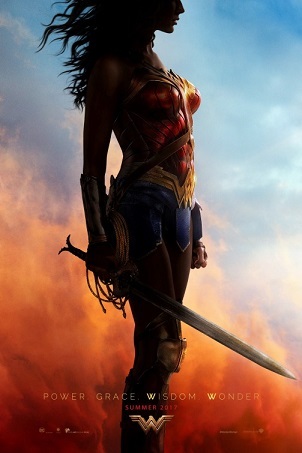 Somehow, seeing the parade of wounded as Diana (Gal Gadot) and Steve Trevor (Chris Pine) are headed toward the front line is a somber occasion as Diana is fully confronted with the terrible realities of war’s casualties instead of just studying war from an academic point of view. Compounding that was seeing innocent people being so devastatingly affected in the trenches of No Man’s Land that finally spurs Diana into action. The year: 2017. The superhero film genre has dominated Hollywood for the last 10 years but you haven’t hit a homerun since The Dark Knight. All of your recent offerings have been the subjects of rather polarizing……discussions…and some old man already gave the other guys a HUGE head start for the year. You need a hero, and fast! Enter Gal Gadot; the savior the DCEU needed. First, let’s get this out of the way; yes, it’s another origin story. Yes it’s another WWI/WWII era film in what seems like an endless stream of said films (Dunkirk, anyone?). Here, however, it is done to the point where you’re actually interested in seeing how that world would deal with an injection of some good ol’ estrogen from the embodiment of feminism herself. The movie opens to a call-back from BvS where Bruce Wayne sends Diana the original photograph of she and her DC version of the “Howling Commandos” (I’ve never read WW before so if this is an old origin story and her team has a name please don’t kill me) which leads to the retelling of her time as a child and her first mission with the team during WWI. She was a rambunctious youth, always trying to sneak away from her mother to train with the other Amazons of Themyscira, but her mother Hippolyta wouldn’t allow it. Eventually she gets her way (obviously) and is trained to become the strongest warrior the island had ever seen. After saving a drowning Cpt. Steve Trevor (Chris Pine) who crash landed on the island days earlier and learning about, “THE war,” taking place in Europe, AND knowing it is the duty of the Amazons to protect man from themselves and to stop war from spreading over the world, Diana steels herself and leaves the island with him to put an end to it once and for all.